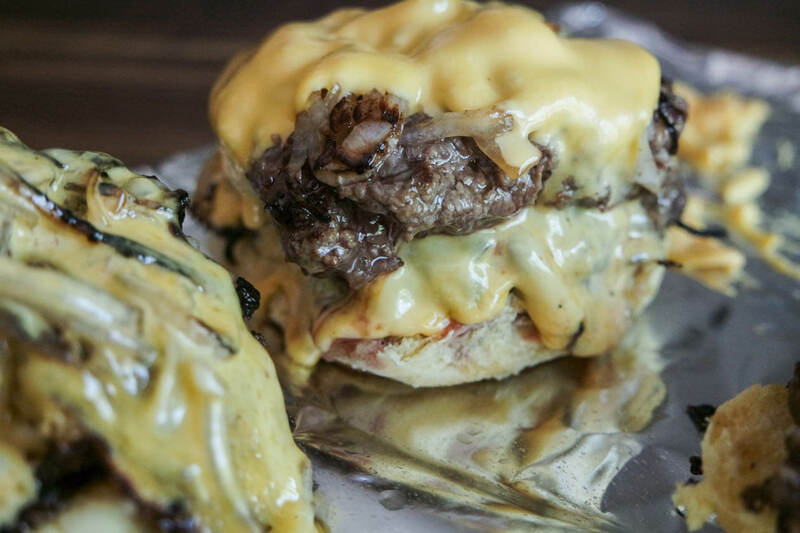 Charred onions with a beef patty smashed right over the top, and make it a double, at least. You gotta try the Oklahoma Onion Burger. I am serious about my burgers. Serious in that I have a deep, unwavering love for them. I even wrote this article explaining the difference between the two basic types of burgers, and why you cant recommend one kind to a fan of the other. So understand that I’m serious when I say this is my new favorite burger. What is an Oklahoma Onion Burger? A flat top or cast iron griddle just like these (but you wanna pick one that’s flat on at least one side!). The beauty of a griddle like this is that you can use it on your stove or on your grill, making it super flexible. I actually did these outdoors on my grill because it’s damn near 100 degrees in Texas an ain’t nobody got time for indoor cooking. A very rigid turner/burger flipper. I use this one, and let me tell ya, it has zero bend in it. That’s the key to being able to smash the meat efficiently and effectively into the correct thickness. First and foremost, it’s gotta be the beef. You need to know that fat quantity in a burger is directly proportionate to juiciness and flavor. You wanna use a minimum 80/20 ratio of meat to fat. Some industry folks swear by 73/27, but that’s awfully specific and not exactly accessible to most people unless you grind your own mix. I used Lone Mountain Wagyu’s 100% full blood ground beef, because I know that the high degree of natural marbling means a higher quality fat percentage in the finished grind. Naturally, I deem a melty slice of American cheese to be a non-negotiable ingredient. 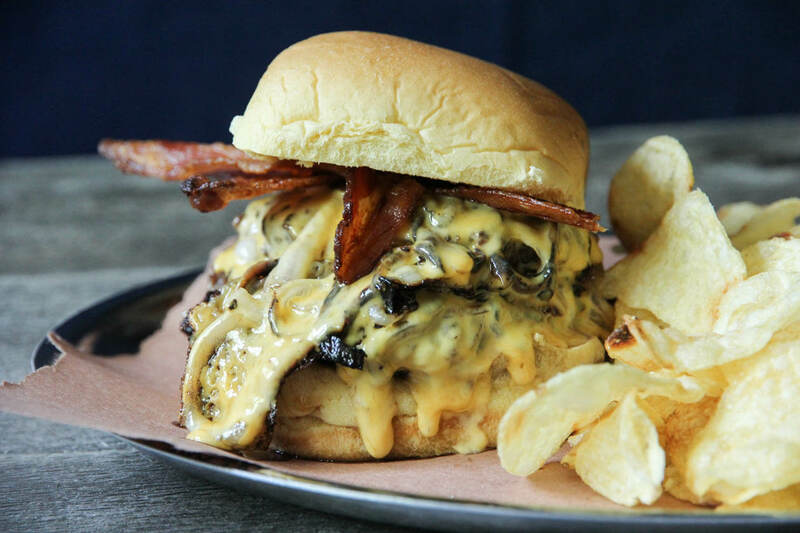 The idea of a non-cheese burger shouldn’t even be a thing, it’s just wrong. Maybe thats why McD’s calls it the “juniorburger’, because only lightweights would ever skip the fromage. The other essential ingredient is a soft potato bun (I use Martin’s, the bun of burger aficionados) which provides and airy mouthful with appropriate structural integrity to handle the juice. It’s no big deal, just burger science… In this instance, I added some Applewood smoked bacon to the final product, but I must admit, it would have been just fine without it. Simple is really best with the burger – no ketchup, mayo or mustard needed. But I definitely recommend you double up the patties, or maybe even try for a triple stack! THIS POST IS SPONSORED BY THE FOLKS AT LONE MOUNTAIN WAGYU (WHO REALLY DO PRODUCE SOME PHENOMENAL PRODUCT). SPONSORED POSTS AND AFFILIATE LINKS HELP TO SUPPORT THIS SITE. I ONLY WORK WITH PRODUCTS THAT I PERSONALLY USE OR WOULD GENUINELY RECOMMEND. 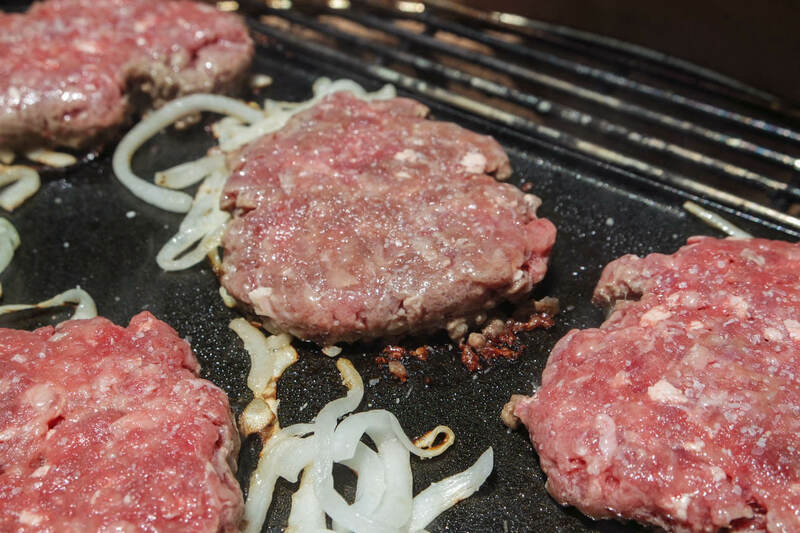 You'll need a flat top or flat griddle plus a rigid turner to make these burgers perfectly. Makes five double burgers. 2 tsp salt plus extra for burger seasoning. At least an hour prior to cooking, start by finely slicing the onion, and placing slices in a bowl. Sprinkle with 2 tsp salt and allow to sit, mixing occasionally for about an hour. This will help draw out excess moisture and help the onions to brown faster. You need to make sure your slices are thin, because the onions are only going to have a few minutes to cook, and if they're too chunky they may remain raw in the middle. Line a tray with greaseproof paper. Divide the meat into 10 portions, loosely forming each portion into a ball, then place onto the lined tray. These can go back into the fridge until about 10-15 minutes before you are ready to use them. 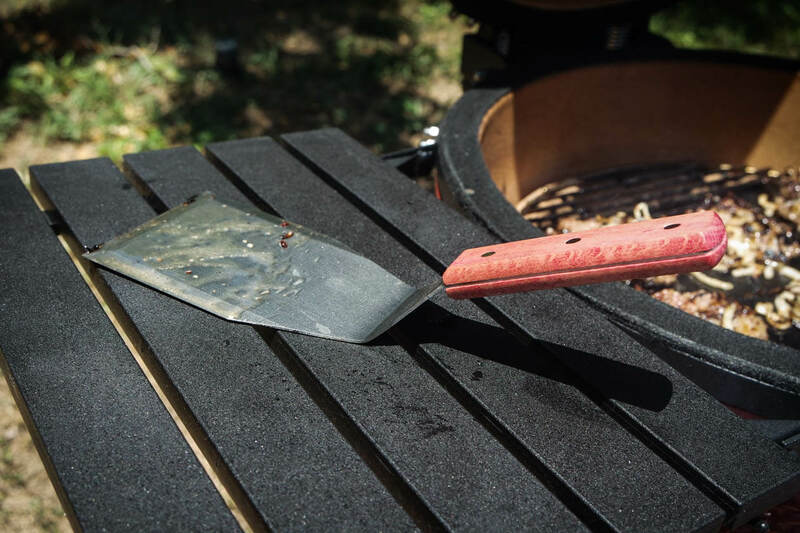 Light your grill and place the flat griddle on top, allowing it to heat to a high temperature. Place onions in a dishcloth (paper towel will fall apart too easily) and wring them until you've removed the bulk of the moisture. Now, you're ready! Spray the hot griddle with a little oil, and place smalls handful of onions in little stacks, allowing yourself enough room to flip the burgers. I was able to do 5-6 per batch. After about 3-4 minutes of browning, place a ball of beef on top of each stack and using your turner, slowly but firmly press the ball down onto the onions to form a patty that should be less than 1/2 inch thick. You may need to press them a second time to reach the desired thickness. Repeat until all onion stacks now have a smashed patty on top, and allow to cook a further 2-3 minutes. Using your turner, get a good solid scrape and flip the burgers to cook the other side. The majority of the onions should have adhered to the beef. Allow to cook on the other side 2-3 minutes. If you prefer your cheese to be meltier, layer it on top of each patty as soon as they are flipped. Otherwise, wait until 30 seconds before you take them off the griddle. Halve the buns in preparation for stacking, and have them on a tray nearby. 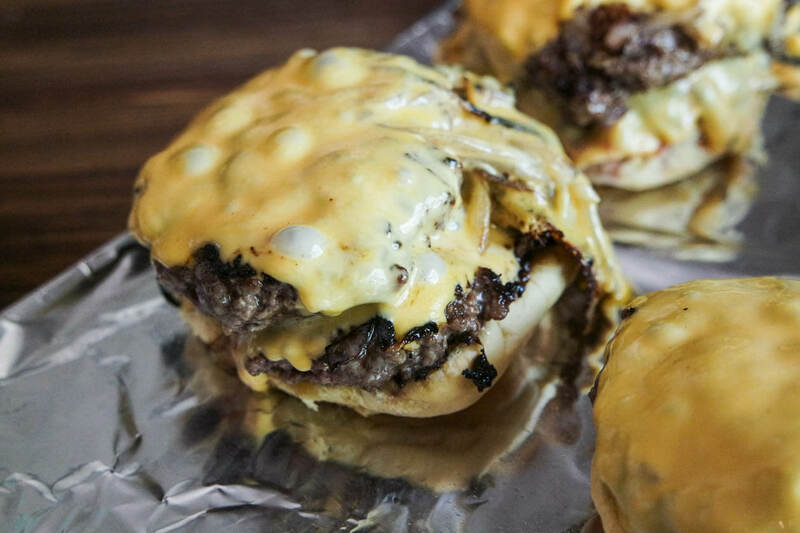 Remove the burgers from the grill and stack onto the waiting bun bases. Put the bun top in place, eat and enjoy!